Damian Kedziora is a Doctor of Science in Industrial Engineering and Management from Lappeenranta University of Technology (2018). Robotics is strongly impacting the daily service operations today, both globally and on the micro level. Robotics Process Automation (RPA) in services industry is ‘an application of technology leading to automating business processes’. In other words, this is a situation when a ‘software robot’ captures and follows the same steps as a human worker would do when managing business processes: in transactions, data manipulation, and even communication with other digital systems (Willcocks et al. 2015). RPA is a concept imitating human thinking that is based on reasoning. The PRA process means a succession of definitions and optimization of steps, the same as in the process done by a human, but also streamlining it, and then checking and testing it. In the era of innovation, RPA is a quite young concept in the business science, only a few years old, but already perceived as the key element of the 6th innovation wave, along with Intelligent Automation (IA) and Artificial Intelligence (AI). This visible change to robots from human workers has provided a lot of debate in society. Similar magnitude of innovation, that disrupted traditional ways of doing things, happened already multiple times in human history. Each time it caused some bias and uncertainty among people. Among the most recent disruptions are the growing computer power, mobile and digital networks, and innovations in biotech industry. Every time, a new wave of innovation seemed to displace the old types of jobs and caused some degree of fear, or even panic in the population. Recently, following a rapid growth of service offshoring industry and facing consequences of relocating operational tasks to more cost-efficient locations (Kedziora et al. 2017), more and more companies have started looking towards robots and automatic solutions. Business sees PRA as a remedy to ease a huge amount of various repetitive business tasks. finally, similar to other current solutions, robotics is based on the Cloud. It makes its operations faster, cheaper and more sustainable. This last reason is especially important from the technical perspective. Cloud computing is based on the delivery of hardware infrastructure, applications, and systems software as a service(Armbrust et al. 2009). In other words, it provides a wonderful platform to sit a robot in a highly secure cloud computing facility. It is also more sustainable and ‘green’ to use. As a result, robotization has proven to be more effective that having humans in different countries. It optimizes capacity and makes literally ‘zero’ mistakes. It also makes a greener and more sustainable solution by reducing multiple types of operating costs. How to build an RPA solution? To address the demand for robots, the top global companies started offering Automation as a Service (AasS), a new business model for automated services. The software robot is able to automate various business processes (such as invoicing, procurement, customer service, etc), available 24/7, and operating interruption and error free, since robots rely on well-described processes with rules and structured data. The execution of change, according to the IA management framework, enables to develop virtual workforce in the cloud, which can be referred to as Centre of Excellence (CoE) (Norian, 2018). Presently, AasS solutions are based on first, the rule-based robotics, and second, Artificial Intelligence (AI) and Machine Learning (ML). Thus, we as users witness a paradigm shift from traditional coding and programming to the use of machine learning. 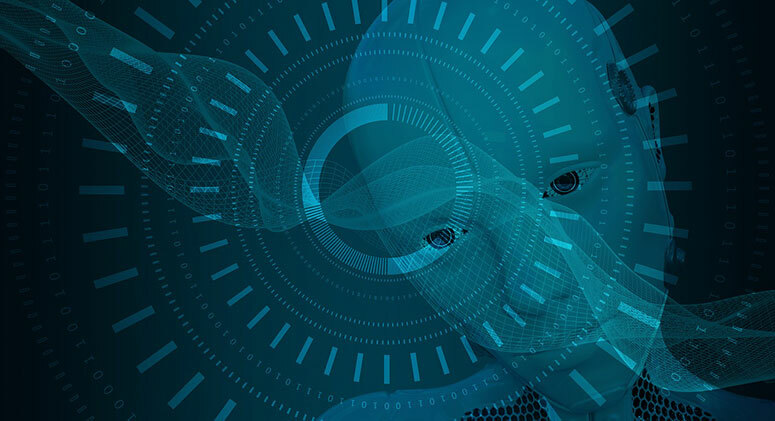 Furthermore, ML algorithms are increasingly ‘taught’ to generate business rules for the robots, through exploring, describing and utilizing big data. Since such a data-driven approach requires large data sets, robotics is meaningful for such processes that are done massively, repetitively, and need high accuracy. In this case, investment in robotics will absolutely pay off. Optimization and management of a robotized process is possible through the Advanced User Interfaces (AUI) such as used for chat bots. They are based on natural language processing, and in the future, with the increased understanding of meaning in voice commands, will also be managed by voice. Most likely, the next coming trend is Cognitive Automation, and the future of robotics is very bright and promising. Damian Kedziora is a Doctor of Science in Industrial Engineering and Management from Lappeenranta University of Technology (2018). He has been working for top global corporations of banking and ICT industry for the past 6 years, focused on efficient service migrations for offshore locations. His focus of interests moved from the outsourcing of services to robotizing processes and using artificial intelligence in operations. Dr. Kedziora is currently an Intelligent Automation Solution consultant at NORIAN Accounting Oy*. He shared his insights about the trends in Robotic Process Automation (RPA) to Master’s students in Industrial Management. *NORIAN helps over 2,000 businesses in Northern Europe and Germany simplify their business and administrative processes. 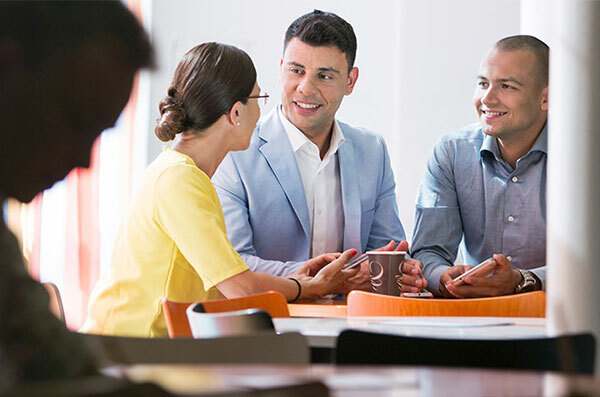 NORIAN has been serving businesses for twenty years and have been continuously investing in improving services and the newest technologies. 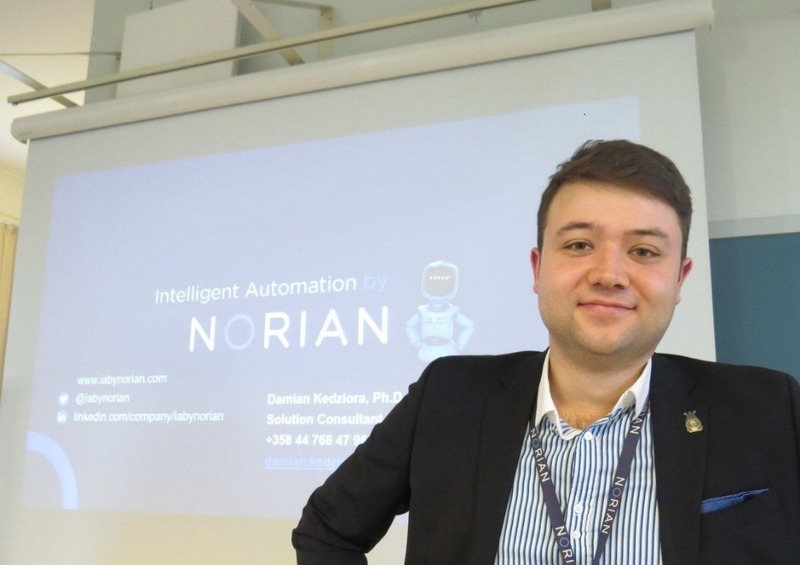 The company is home to “Intelligent Automation by NORIAN”, one of the leading Nordic providers of Robotic Process Automation. Visit www.norian.eu to learn more. Willcocks, L.P., Lacity, M. and Craig, A. (2015). The IT Function and Robotic Process Automation. The Outsourcing Unit Working Paper Series, pp. 1–39, The London School of Economics and Political Science, London, UK.